Also see The Knolwedge’s selection of the Best Post-Apocalyptic Movies, Best Post-Apocalyptic Books and Best Post-Apocalyptic Apps. The computer games that are perhaps closest to the central question of The Knowledge – how might you accelerate the development of civilisation – are Sid Meier’s Civilization series. The game starts in prehistoric times with you founding a village somewhere on a map of a world. The game progresses through the millennia as your civilisation grows, increasing in population and establishing further cities, and sending explorers across the diverse landscapes of the world to discover key resources like iron and coal, and other civilisations. A crucial part of the game is directing your researchers through the network of scientific discoveries and the more capable technologies they allow: enabling you to construct new buildings in your cities or different units like trade caravans or steamships to move around the world. 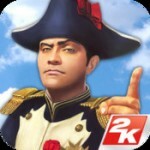 The latest release of the game, Civilization V, is available for PC, and a simplified version, Civilization Revolution, is available for iOS, Xbox 360, Play Station 3, and Nintendo DS. (And if you like map-based resource strategy games, New World Colony for iOS is superb, as are the board games Carcassonne and Settlers of Catan). 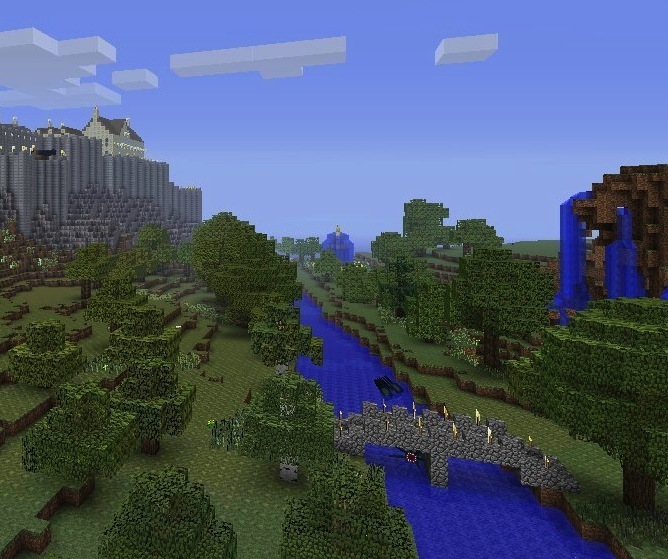 Minecraft is a wonderful example of an open-ended ‘sandbox’ game – there is no one way of playing or prescribed levels you need to complete, just a huge landscape for you to explore, and various resources to collect and use in any way you like to achieve goals and survive in the world. The bright, colourful virtual world is deliberately blocky: composed of cubes of different materials, and populated with trees and animals like chicken and sheep, but also some that are dangerous. Natural materials can be harvested and combined to make various objects or tools: joining sticks to make a ladder or fencing to pen the sheep you find for harvesting wool, or binding stick and string to make a fishing rod, or stick and stone for a primitive axe that makes quarrying for further resources easier. You provide yourself even more possibilities by processing these naturally-occuring materials: use stone to build a furnace, and within that combine coal and iron ore to smelt iron, which can in turn be crafted in different patterns to make, for example, a bucket, helmet, or rails for mining-carts. 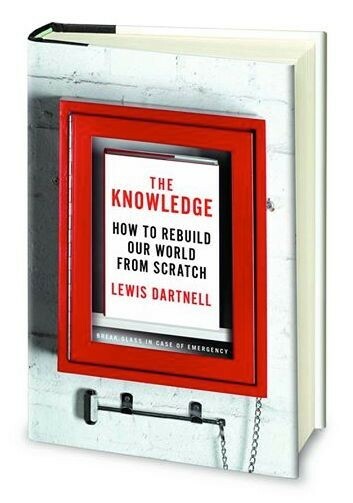 As you find more natural resources, process them in different ways and use together in diverse combinations your capabilities become ever more sophisticated. The possibilities within the game are essentially infinite, and over time you can construct enormous cities with working mechanisms and technologies like electric lifts (see some great examples here); all from the starting point of collecting just some sticks and stones from the ground. 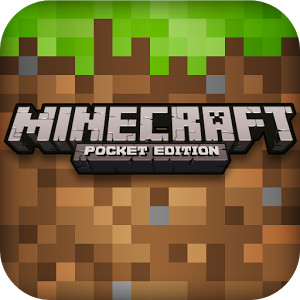 Minecraft is available for PC/Mac, Xbox 360, and as a pocket edition for iOS and Android. 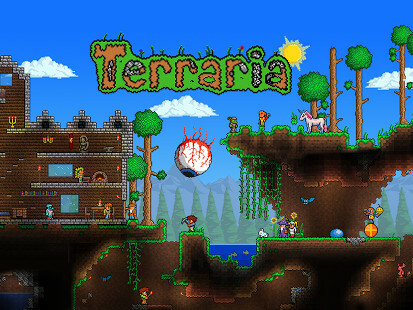 Terrria is similar to Minecraft as an open-ended sandbox game where players can explore the landscape and collect or mine different resources and craft new tools, but is simpler and more limited in scope as a side-on 2D video game. It is available in many different formats: Windows PC, PS3, Xbox 360, as well as Android and iOS. Fallout is a series of role-playing video games set in a large explorable world in the aftermath of a global nuclear war. Fallout 1 and 2 are birds-eye perspective views, with later instalments played as first-person perspective games, seen through the eyes of the character you control, and over the different titles of the series you must achieve various quests, combating enemies in the barren wasteland. The plots are open-ended, and in-game challenges can be solved in more than one way, with the choices you make through the game impacting upon what course you can follow later. A third-person adventure game set in a post-apocalyptic world twenty years after a pandemic spread by fungal spores wiped out the majority of humanity. You play Joel, a resourceful survivor, who must protect a fourteen-year-old orphan named Ellie as you travel across the wasteland of America to deliver her safely to an organised group. You will need to confront aggressive bandits as well as the Infected left roaming the land, and can craft weapons or medical supplies by combining items you scavenge from your surroundings as you go. The graphics of the derelict cities are breath-taking, and the musical score perfectly atmospheric – it has in fact been released as a soundtrack album [iTunes/Spotify]. 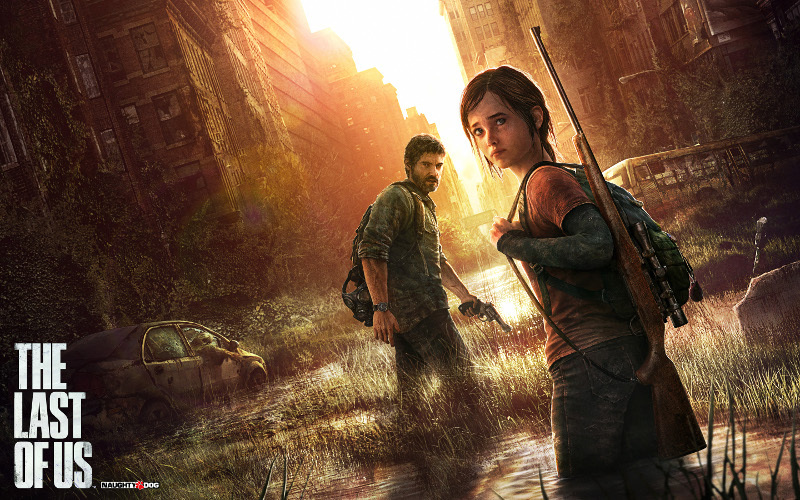 The Last of Us is exclusive to PS3. 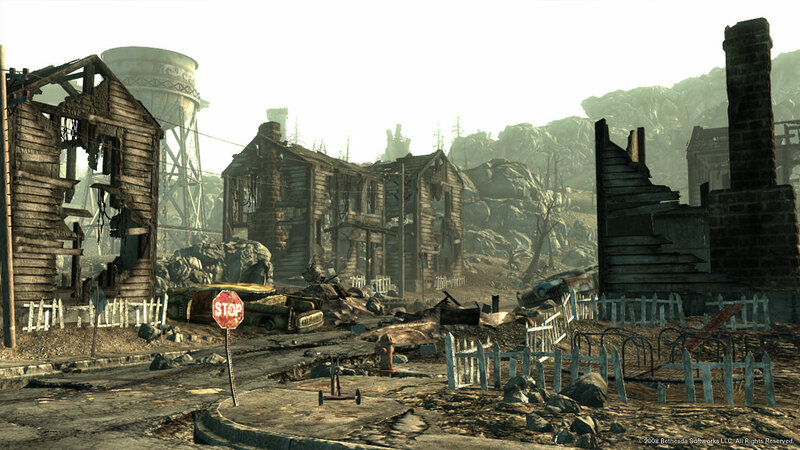 Another post-apocalyptic adventure game, but very different in style to either Fallout or The Last of Us. Based on the comic book series of the same name, which also spawned an excellent TV series, but featuring mostly new characters, this is an innovative graphic adventure game with a powerful narrative. You play a university professor, and convicted murderer, who takes a young girl into his care as the apocalypse begins to play out around them. The originality in the game is that it is not based on solving a series of puzzles, but in handling the interactions with other characters and in making difficult decisions on your course of action during the game. The results of these choices stay with you throughout the game, and include, for example, the death of certain characters or a change in their attitude to you. 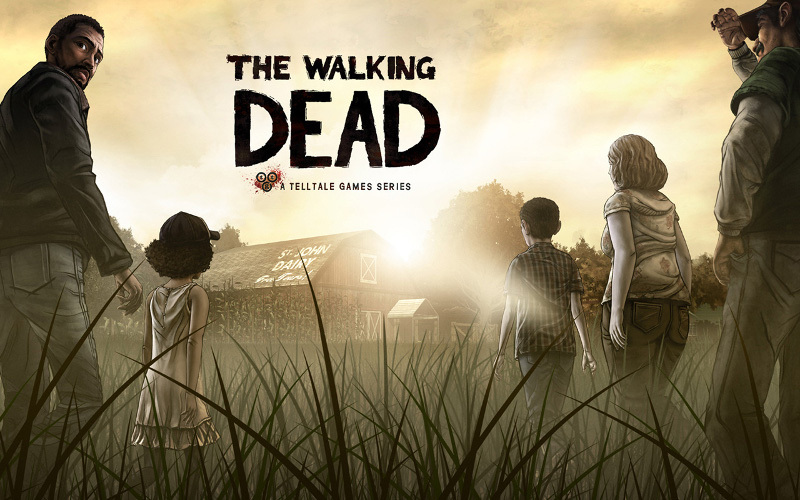 The Walking Dead is available for Windows PC, PS3, Xbox 360, and iOS.